Schools Out is looking for a Manager for their Holiday Club in St Ives (Cambridgeshire). The role involves working 8am-6pm five days per week for twelve weeks of the year (all school holidays in line with Cambridgeshire school holiday dates, exclusive of bank holidays). There is the potential for additional work in one of our Out of School Clubs and/or nurseries during term time if you desire. The role will involve leading and developing the team to ensure a fun and varied all round experience for the children in the club. There is a strong emphasis on sports and arts, providing an ideal opportunity for a creative and energetic childcare professional. What’s required? A Play Work qualification or childcare qualification would be ideal but is not essential Experience of working with children in a role such as, nursery assistant, teaching assistant, brownie/guide/cub/scout leader, sports instructor, holiday/out of school club assistant, preschool, Lunch time supervisor, teacher, etc. A committed personality with a passion for working with children and a good understanding of child development. Enthusiasm and ability to engage in all manner of activities, including swimming, football and nerf wars! If this sounds like an opportunity you do not want to miss, please contact us today. Davidson Roberts Ltd is committed to ensuring everyone within the nursery is responsible for Safeguarding and promoting the welfare of children. All successful candidates will be required to undertake an enhanced DBS disclosure. This post is exempt from The Rehabilitation of Offenders Act 1974. Do you have a recognised childcare qualification: NNEB, NVQ/CACHE Level 3 or equivalent. Would you like to work for an award winning employer? Employer of the Year Training and Development Provider of the Year Nursey Group of the Year If you have: Previous experience of managing day to day operations of a day nursery setting. Solid under 5’s childcare knowledge and experience. Sound knowledge of Ofsted guidelines and the EYFS. Sound knowledge of safeguarding and child protection procedures. A commitment to equal opportunities and an ability to work effectively with young children and their families. Good communication skills with a positive willingness to learn and develop. Join our senior team of enthusiastic and passionate Nursery Managers. We are a dedicated, family led childcare provider, who believes in offering all of our staff a positive environment in which they can grow and develop. In return for your dedication and commitment we offer: 5 paid days in-house training, every year. Birthday off – in addition to statutory annual leave. Individual career progression and development opportunities. Employee of the month dedicated to your individual nursery. Annual ‘Superstars Awards Day’ celebrating both individual and team achievements On-line recording of children’s Learning Journals. 50% off your childcare fees if your child attends any of our settings BUPA Health Care package, on completion of your probation period, which includes 1000’s of discounts from major retailers Competitive salary in line with qualifications and experience. Bonus for great attendance Everyone that works at Hungry Caterpillars is an important part of our successful team and therefore we ensure you will be respected, appreciated and rewarded for the great work you do. We look to recruit motivated, unique individuals with a passion for helping children and families to achieve their very best. I If you can: Effectively lead and manage the staff team including providing day to day guidance, training and support to all practitioners. Achieve and maintain an inclusive environment, prioritising high standards of care and education. Promote and facilitate partnerships with all parents/carers. Promote a safe environment for all users. Able to comply with all company policies and procedures including health and safety. Able to ensure nursery records are kept up to date and confidential. Attend meeting and courses as required. Positively and actively promote the setting. 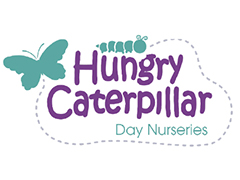 If you would like to build a career ladder with Hungry Caterpillars then please forward your C.V Find further information on our award winning nurseries on our Hungry Caterpillars website Please Note: This post is exempt from the provisions of Section 4(2) of the Rehabilitation of Offenders Act 1974. Due to the nature of the above jobs and in line with Hungry Caterpillars safer recruitment requirements, an appropriate level of disclosure under the Disclosure and Barring Service will be obtained. Flitwick Day Nursery has a fantastic opportunity for an experienced childcare professional to further their career in this thriving setting. The nursery has a vacancy for a Baby Room leader. This role would suit somebody who has been working as a practitioner and is looking for promotion or someone who is already working as a room leader and is ready for a change. The nursery is part of a successful group of nurseries, which is committed to training and developing all staff within the group and provides excellent opportunities for career progression. The nursery is rated 'Good' by Ofsted. Duties and responsibilities will include: Leading the team within the baby room. Building relationships with the babies in your care and their families. Providing high standards of care and education within the Nursery including the environment, resources and experiences offered to children. Ensuring that children are kept safe and, when necessary, following safeguarding procedures. Ensuring that the nutritional needs of the children are met and the Food Safety Regulations are complied with. Undertaking a shared responsibility for health, safety and cleanliness throughout the nursery. What experience and qualifications must I have in order to apply? Minimum level 3 in childcare or equivalent qualification Baby room training and experience is beneficial Sound knowledge and understanding of EYFS Previous childcare experience in a nursery setting is essential Excellent communicator An enthusiastic and positive approach The salary is dependant on skills and experience. Davidson Roberts Ltd is committed to ensuring everyone within the nursery is responsible for Safeguarding and promoting the welfare of children. All successful candidates will be required to undertake an enhanced DBS disclosure. This post is exempt from The Rehabilitation of Offenders Act 1974.